I started my last company, WordStream in my 20’s with nothing. Today it’s being acquired for $150,000,000 by Gannett. 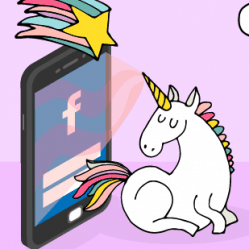 Here are my top 4 lessons I learned over the last decade from making a baby unicorn. A $100M marketing software company! Talent and investors who in turn helped make my dream a reality. First we made keyword research tools but prices and retention were awful. Instead of making small tweaks, we pivoted to a selling a PPC management platform. We changed the entire product. Big changes = big impact. My most spectacular growth hack is the AdWords Grader. We showcase the product by grading AdWords account performance. It took me and 3 engineers just 4 months to create this. Yet it made the company a success. 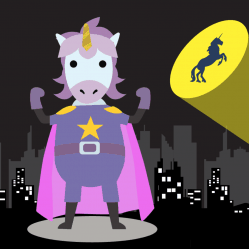 Double down on your unicorn projects. Kill your donkey projects. You learn so much when building a startup. Even when they don’t work out. Don’t let hard-earned lessons go to waste. 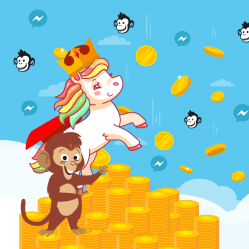 I’m building my next unicorn, MobileMonkey – The World’s Best Facebook Messenger Marketing Platform. It’s that time again. I’m looking for believers. Talent & investor inquiries welcome! Most startups don’t end with a big IPO or acquisition. But they’re always an adventure. And sometimes, can turn out better than you ever imagined. I hope to make more unicorn babies. 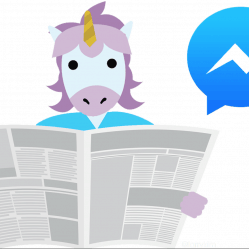 Editor’s Note: Tomorrow, we will return to our regularly scheduled Facebook Messenger marketing blog content.